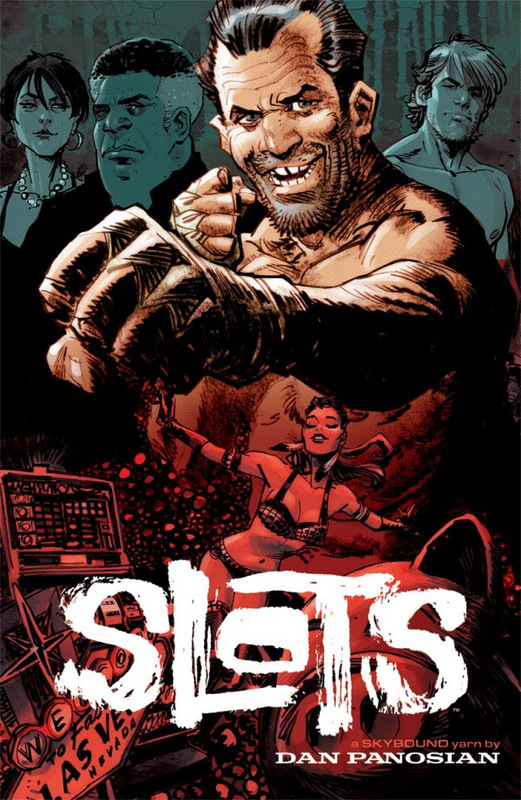 Writer/artist Dan Panosian (Daredevil: Back in Black, Conan/Red Sonja) will release a trade paperback collection of the first six issues of his gritty crime series SLOTS this June from Image/Skybound. You can say this about the life of Stanley Dance: he did it his way. Unfortunately, his way never took getting old into account. Now, the former boxer is on his last legs, looking for redemption…but he’ll settle for going down swinging. Roll the dice with superstar artist DAN PANOSIAN as he creates a bold and breathtaking vision of Las Vegas, where everything old can become new, and superstition influences how the chips fall. SLOTS, VOL. 1 (ISBN: 978-1-5343-0655-4, Diamond code: APR180557) hits comic book shops Wednesday, June 13th and bookstores Tuesday, June 19th. The final order cutoff deadline for comics retailers is Monday, May 7th and it can be pre-ordered via Amazon, Barnes & Noble, Books-A-Million, Indiebound, and Indigo.